For the second time, the non-profit trade association promoting Cotton Council International (CCI) held 'Cotton USA Networking 2018, Fabric Producers and Local Designers'. 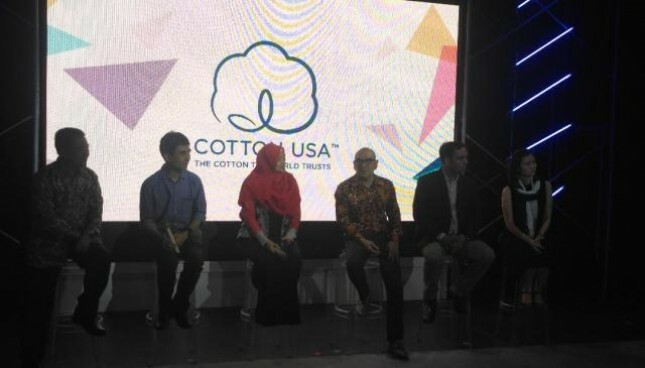 INDUSTRY.co.id -Jakarta - For the second time, the non-profit trade association promoting Cotton Council International (CCI) held 'Cotton USA Networking 2018, Fabric Producers and Local Designers'. The event aims to inspire and support local manufacturers and designers advancing the quality of everyday wear in the Indonesian fashion industry. "Through this competition, we want to inspire the creation of fashion in Indonesia about the importance of knowing about textile fabric material," said Andy Do, representative of CCI, Friday (23/3/2018). Furthermore, a good understanding of quality US cotton will help local fashion designers, in choosing the fabric to be used for production. As a determinant of future trends in the Indonesian fashion industry. Cotton produced from the US has been used for making fabrics, and these fabrics have been used in various manufacturers that enter Indonesia, as well as in many international brands such as Levi's, GAP, Zara, H & M, and Ralph Lauren. American Cotton produced more than 18,000 family farmers who have understood the land for decades. The US became the world's third largest cotton producer, representing about 15 percent of the world's total cotton production.